Mitchell was born and raised in Edmonton where he began his path to becoming a dancer in his freshman year at Strathcona Composite high school. 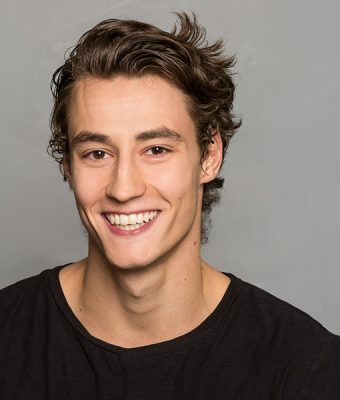 Mitchell started his classical ballet training at the Edmonton School of Ballet for one year before being accepted into the professional division at the Royal Winnipeg Ballet School in 2013. While dancing at the Royal Winnipeg Ballet, he had the opportunity to perform repertoire from classical ballets such as La Fille Mal Gardée, Sleeping Beauty, Swan Lake, L’Esmeralda and Raymonda. He also worked on a variety of contemporary pieces throughout his studies before graduating from the school in 2017 under the tutelage of Stanislav Belyaevsky. Mitchell attended summer intensives at Arts Umbrella in 2015 and 2016 where he learned works choreographed by Jirí Kylián and William Forsythe, remounted by Leslie Telford, former dancer from Netherlands Dans Theatre, and Amy Raymond, formerly with The Forsythe Company. These programs also gave him the chance to study Gaga technique under former Batsheva company member, Tom Weinberger. Mitchell is looking forward to expanding his classical & contemporary technique, as well as his repertoire while working with Citie Ballet.